Lieutenant General Hubert de REVIERS de MAUNY was born on the 28th of February 1961. He is a graduate of the Military Academy of Saint Cyr (1981-1983) and the Army Infantry School (1983-1984). In 1984, he was posted to the 46th Infantry Regiment located in Berlin (Federal Republic of Germany), as a platoon leader. From 1986 to 1992, he was posted to different Foreign Legion Regiments in France and overseas (4th Foreign Regiment, 5th Foreign Regiment, 2nd Foreign Infantry Regiment). During this period, he commanded a combat company and participated in operational deployments to Saudi Arabia, Iraq and the Central African Republic. In 1992 General de MAUNY was selected to serve as an instructor at the Military Academy of St Cyr; immediately thereafter, in 1995, he was sent to the Joint Defence College in Paris, now renamed "Ecole de guerre” (War School). In 1997 he was appointed to the Staff of the Army, Paris, in the Planning and Budget Division as a project officer. Then, from 1999 to 2001, he was appointed Chief of Operations of the 6th Light Armoured Brigade, located in Nimes (South-East France). In 2001, he returned to Paris to the Staff of the Army, again to serve in the Planning and Budget Division. In 2004, the General took command of the 2nd Foreign Infantry Regiment located in Nimes. During this period he was deployed, with his regiment, to Afghanistan (2005) and the Ivory Coast (2006). Following a successful command, two years later, he was appointed to the Inspection of the Army team (French Ministry of Defence, Paris). Following this, in 2009, he was attached to the French Foreign Office; first as a Military Adviser to the Special Representative for Afghanistan and Pakistan; and subsequently, as an Adviser to the Secretary of State for European Affairs. 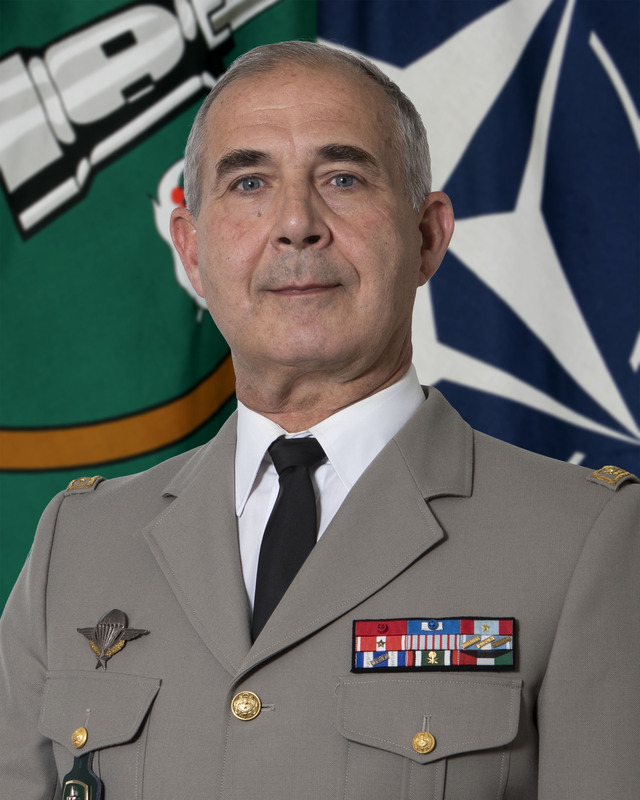 Promoted to Brigadier General in 2011, he was then assigned for two years to the Office of the President of the French Republic, in the National Intelligence Coordination cell (Paris). In 2013 he was appointed Chief of Staff to the French Chief of Defence Staff and as Head of the General Affairs Divison in the Defence Staff (Paris). Then, in 2014, he was nominated Director of the Ecole de Guerre, located at the Ecole Militaire (Paris). In 2017 the General assumed the post of Deputy to the Director of Advanced Military Training and Adviser to the Chief of Defence Staff. On 1st July 2018, he was promoted to Lieutenant General and appointed Chief of Staff at Joint Force Command Brunssum. Lieutenant General Hubert de REVIERS de MAUNY is married to Constance and they are blessed with nine children.